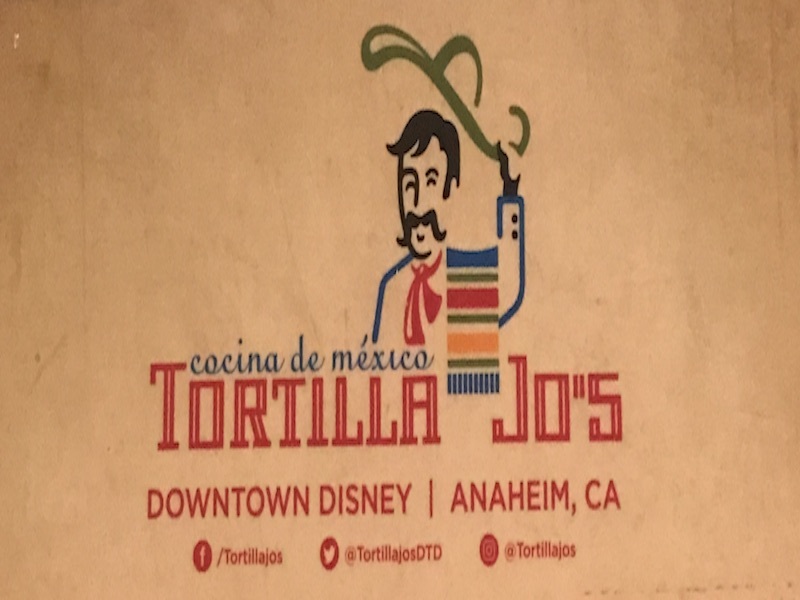 Tortilla Jo's is Downtown Disney's second attempt at serving Mexican food at this location, having replaced the original occupant Y'Arriba Y'Arriba. Three different dining options are available. You can go with the full service dining room with more interesting dishes, eat in the cantina with a more limited menu, or sit outside and get counter service from the taqueria. Location: On the right as you approach the Disneyland Drive overpass in the direction of the Disneyland Hotel. Flour tortilla filled with beans, rice, onions, cilantro, and Monterey jack cheese, served with sour cream, pico de gallo, and guacamole. A cone shaped corn tortilla filled with refried beans, red rice, onions, cilantro, Monterey jack cheese, sour cream, and your choice of filling. Two double layer soft corn tortillas with onions and cilantro and your choice of filling. A flour tortilla filled with refried beans, red rice, onions, cilantro, Monterey jack cheese, and your choice of filling. With American cheese sauce, sour cream, quacamole, jalapenos, and pico de gallo. Iceberg lettuce, tomato, guacamole, red onions, and sour cream on a traditional talera roll.